I’m giggling at the title of this recipe, don’t mind me. 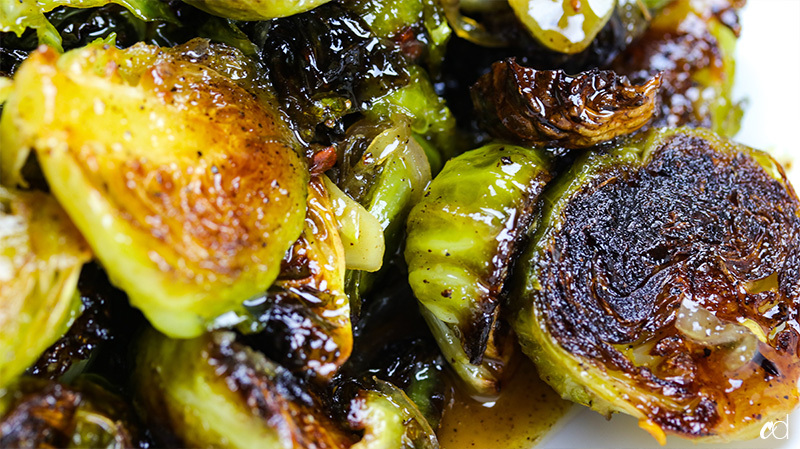 Anyway, if you want to amp up your brussel game, try these miso-honey brown butter brussel sprouts. Salty umami-packed miso paste is melted down with brown butter, thin slices of garlic and shallot, and whisked with sweet honey. 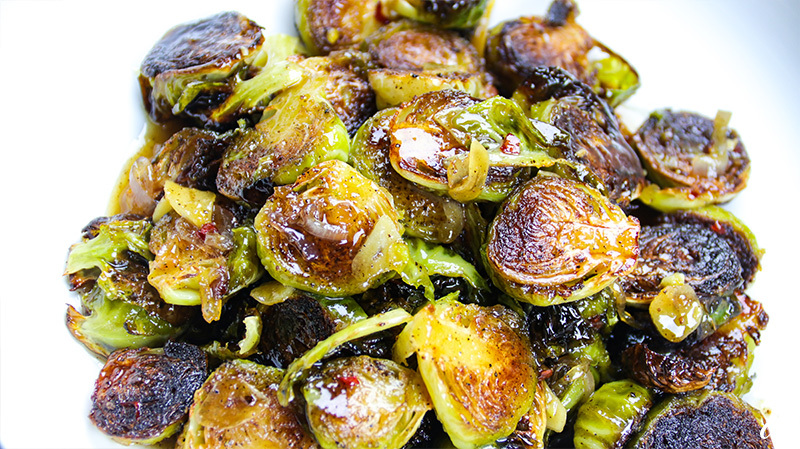 Such a simple way to boost the flavor of just about any vegetable you want. 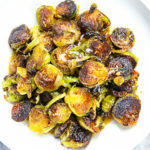 I figure, if it works with bitter brussels, it can work with anything. Let’s keep it a buck, most of us didn’t start eating these until they became “trendy” years back. Those of you who probably did grow up on these, grew up on them boiled, bland, and disgusting. My condolences. 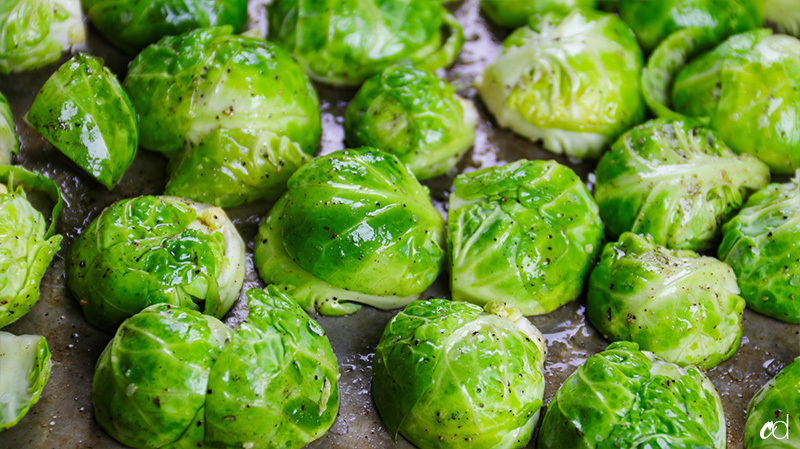 These brussels, however, are anything but bland and definitely not disgusting. 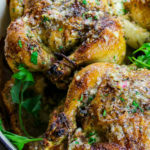 The way that super easy and crazy versatile miso-honey brown butter seeps into the crevices, while clinging onto shards of garlic and shallot? Oh my gosh! You’re in for a treat. Again, you can use this sauce on any vegetable. Try it! 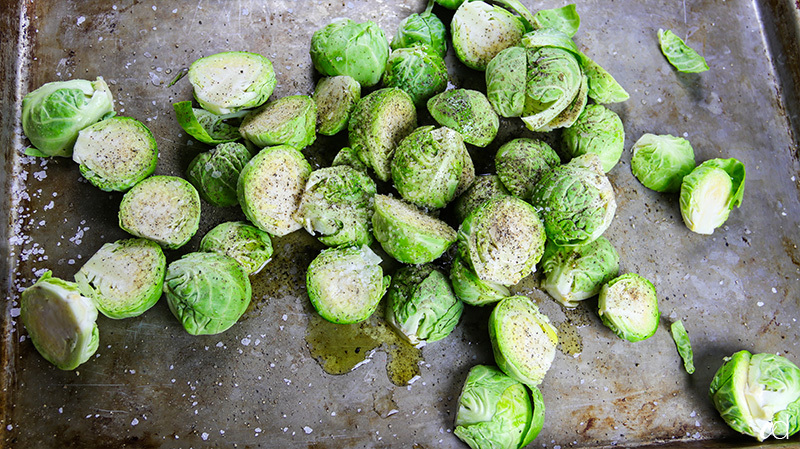 Brussel sprouts are notoriously stinky. They’re basically little cabbages, so expect some funk. One may walk into your home after you’ve cooked these and swear you farted up the joint. But that’s still not reason enough to not make these. I’m using white miso paste for this recipe, and it’s super easy to find. Even easier if you live near an International market. You can use any kind of honey. 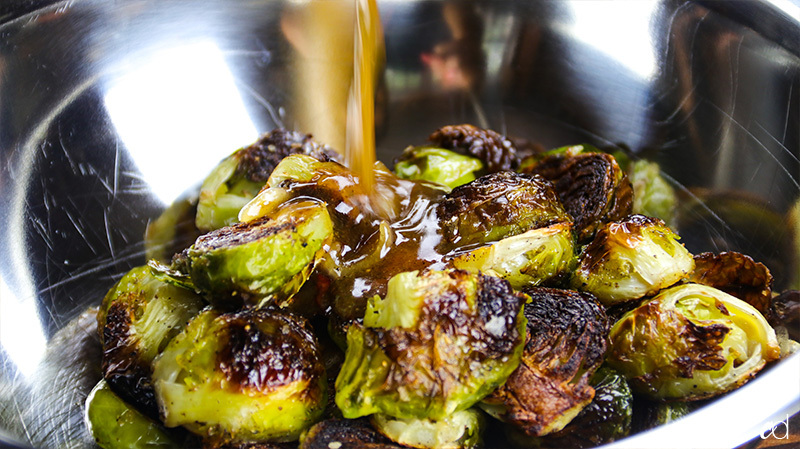 I purposely gave you a recipe that will leave you with extra miso-honey brown butter sauce. You can keep it in your fridge and save it for a few days, then use again on another batch of brussels, broccoli, cauliflower, carrots, you name it. Ahh, these stinky little morsels of yumminess. To me, they’re best browned via oven or pan roast, or flash fried in hot oil. Today, they’re getting roasted. Brussels are notoriously dirty. 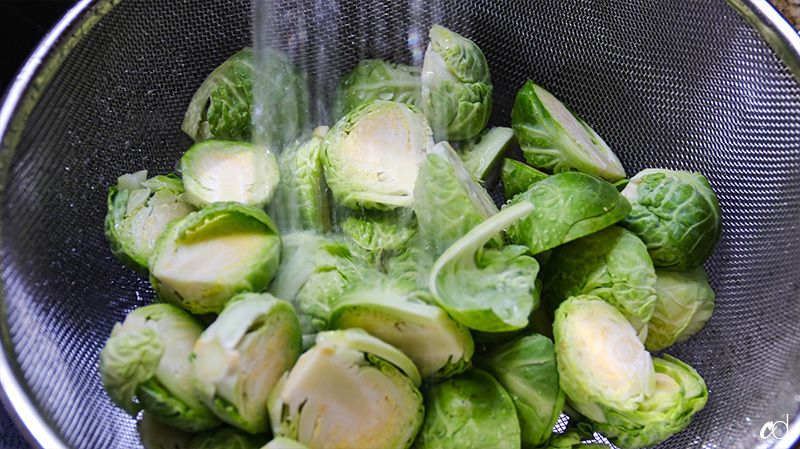 There’s tons of areas for dirt and bugs (ick) to chill in, so make sure you slice your brussels in half, trimming off the thick ends, and remove any filthy and/or bruised leaves. Check the crevices for bugs and/or dirt. After that, give them a good thorough rinse and shake them dry. 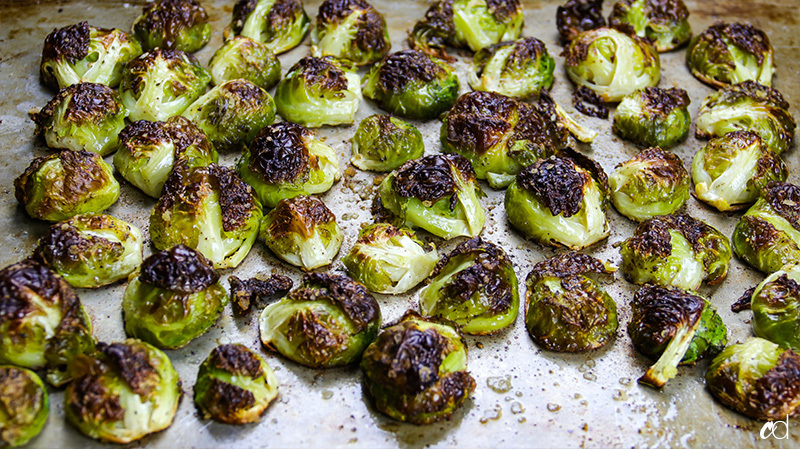 Place your cleaned brussels on a baking sheet and drizzle plenty of oil all over them. Don’t forget the salt and pepper. Arrange them cut-side down on your baking sheet. Notice mine are not swimming in oil, but there’s just enough to keep them nicely lubricated in that super hot oven. 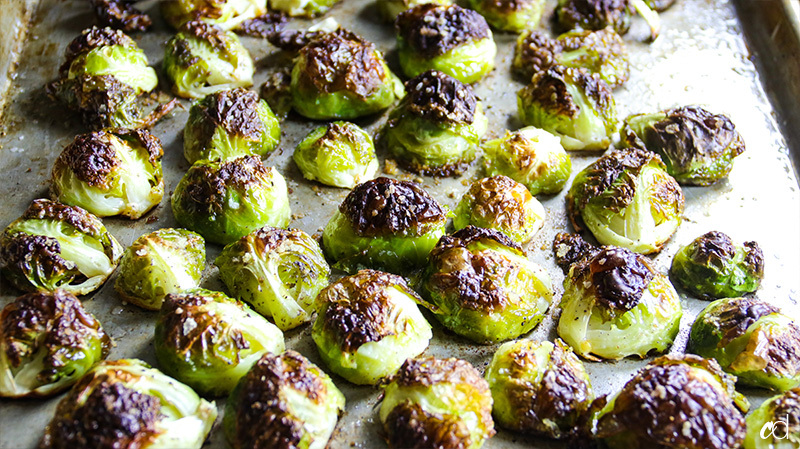 pop these in a 425 degree oven for 20 to 22 minutes. Start checking at the 17-minute mark, because some ovens get hotter than others. You’ll know when they’re ready when you can easily pierce them with a toothpick and they’re nicely charred. 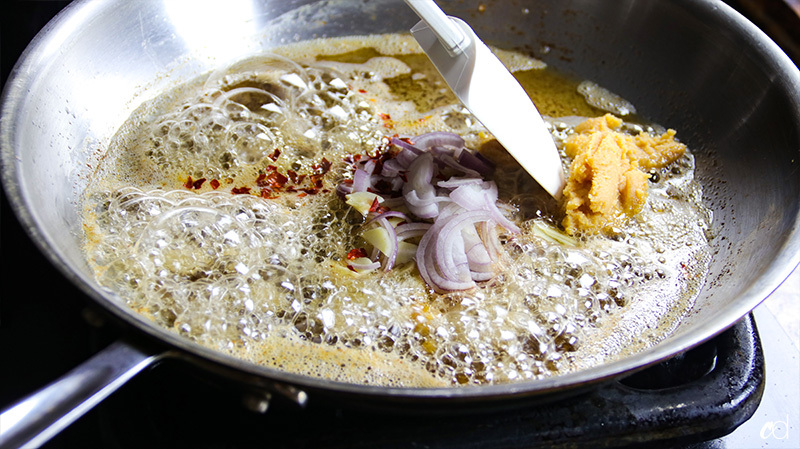 Meanwhile, let’s get our miso honey brown butter going. Slice up a few cloves of garlic, about 2 or 3. 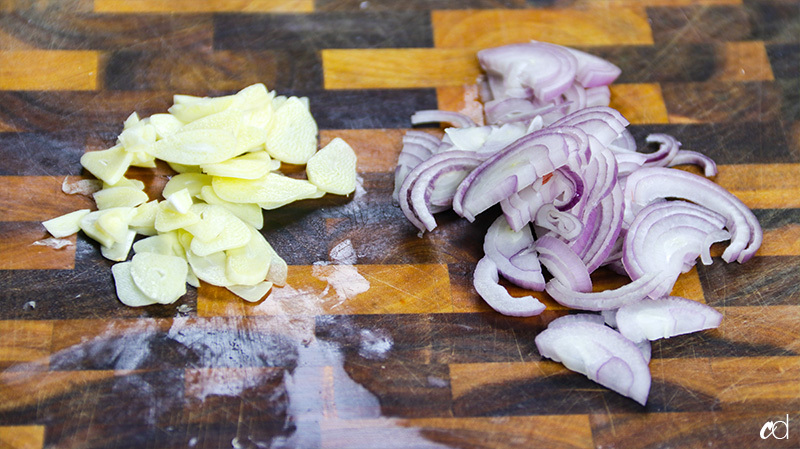 Thinly slice up 1 small shallot. 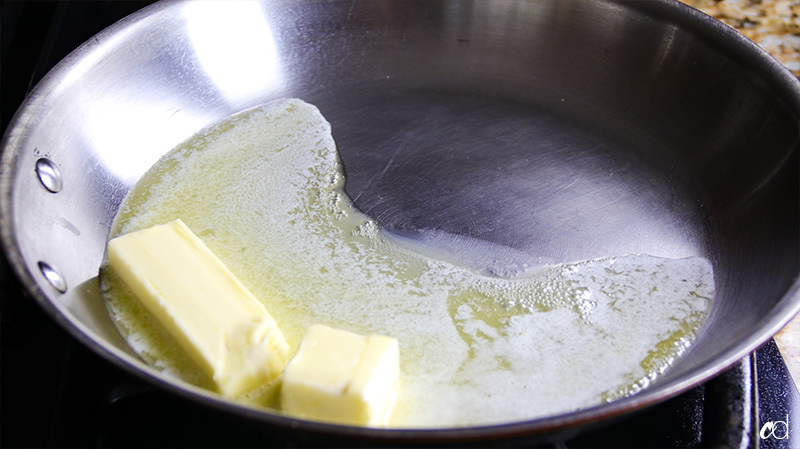 In a skillet that doesn’t have a dark bottom, melt a stick of butter over medium heat. Continue to let it melt. It’s almost there. Swirl it around frequently. Once it’s brown like this, turn off the heat so it doesn’t burn! 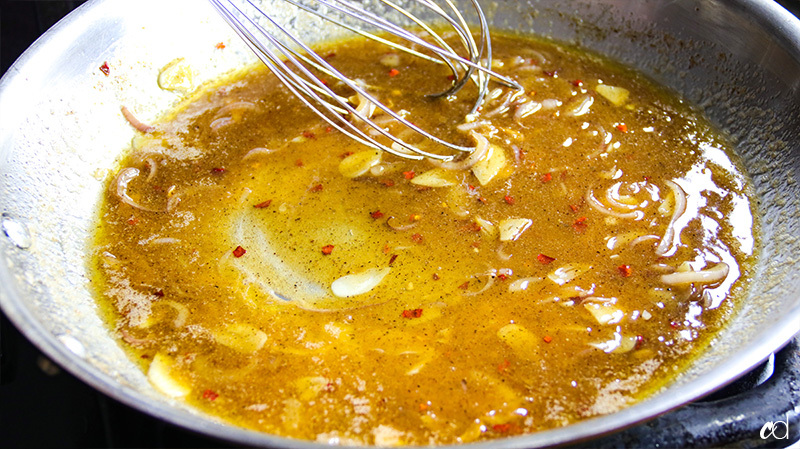 As soon as you turn the heat off, add the garlic, shallots, crushed red pepper flakes, and miso paste. Stir to combine. Use a whisk to break down and melt the miso paste a little better. Next, add the honey and some black pepper. Whisk to combine. Keep whisking until its homogenous. 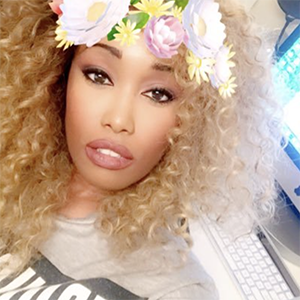 Give it a taste. Add a tiny pinch of salt if you need to, but most will find it perfectly salty. Brussls are ready! Look how perfect. Honestly, you could eat them like this. 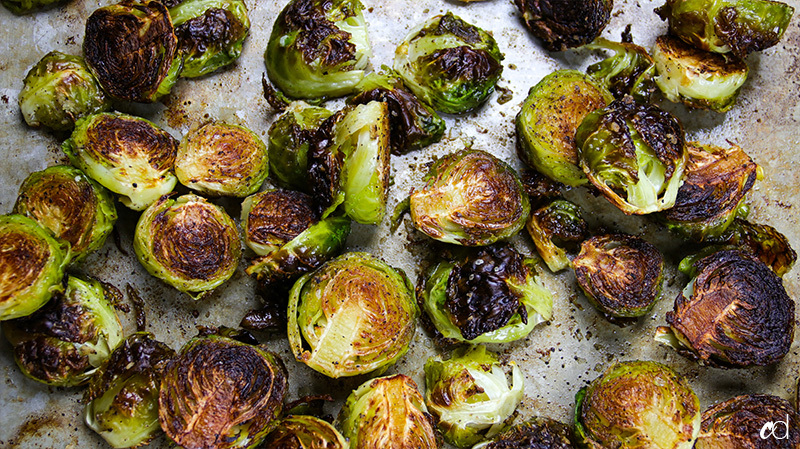 My favorite part are those charred outer leaves, so crunchy and deep in flavor. Here’s what the cut-side looks like. Just perfectly roasted, tender, and charred. 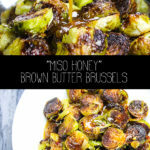 Whisk the miso honey butter one more time in case it separated, and pour some of it over your brussels. Toss to coat, and if you want to add more you can. 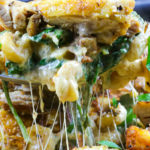 But you will more than likely have some sauce leftover for another use. Plate them up and serve. This sauce! I literally ate half of what you see here before I even plated it. They’re damn good. Pour this sauce on anything, it’ll be bomb. 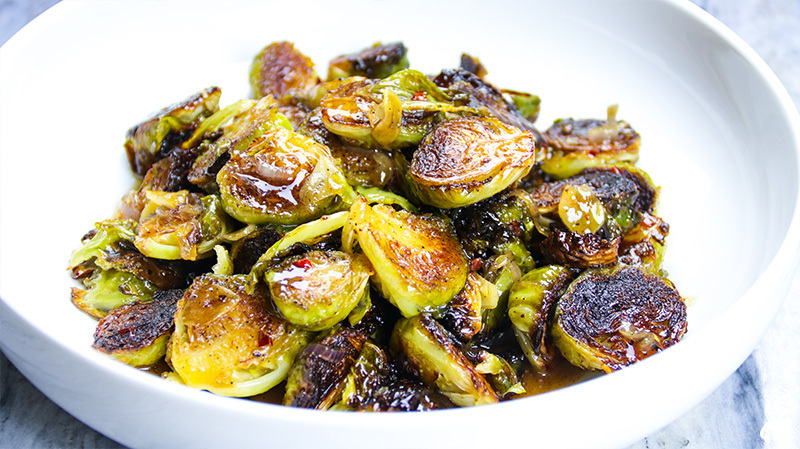 Try my White Wine Braised Brussels Sprouts with Bacon and Cranberries. Sweet, salty and sticky! 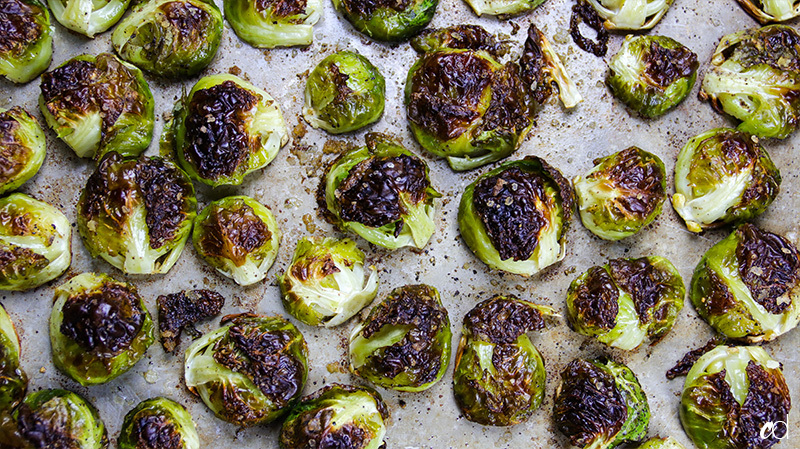 These perfectly roasted brussel sprouts get a nice coating of umami-packed miso honey brown butter, along with thin shards of fresh garlic, and sliced shallots. So damn good! 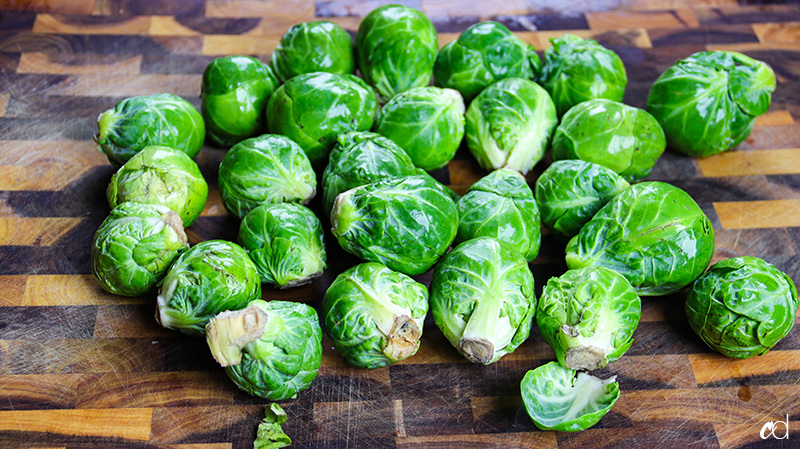 Remove any bruised outer leaves from the brussels. Cut off the stubby ends, and slice them in half lengthwise. Make sure there are no bugs or dirt in the crevices. 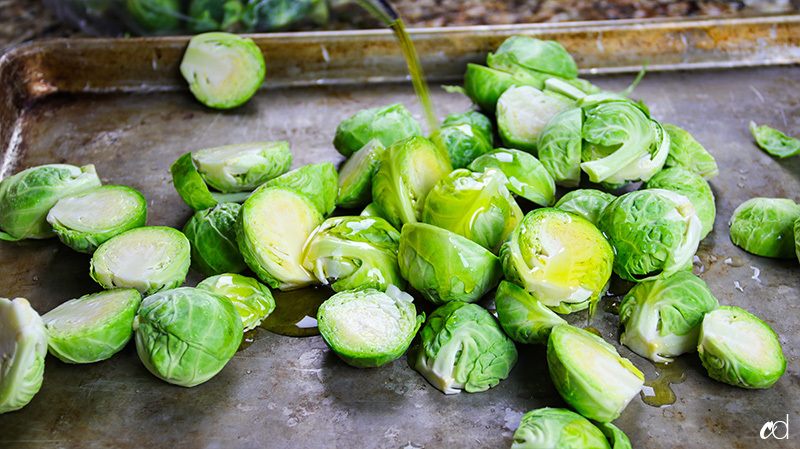 Rinse the brussels with cold water thoroughly, and shake dry. 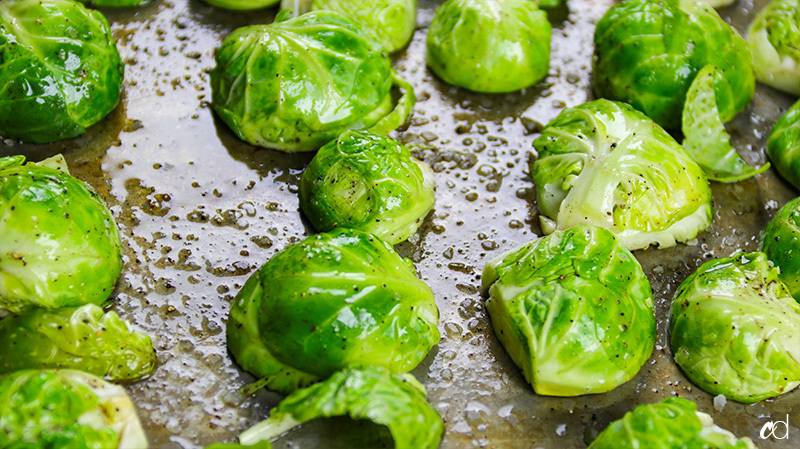 Place clean brussels on a large baking sheet, and drizzle with olive oil. Add a big generous pinch of kosher salt and black pepper. Using your hands, toss everything together. 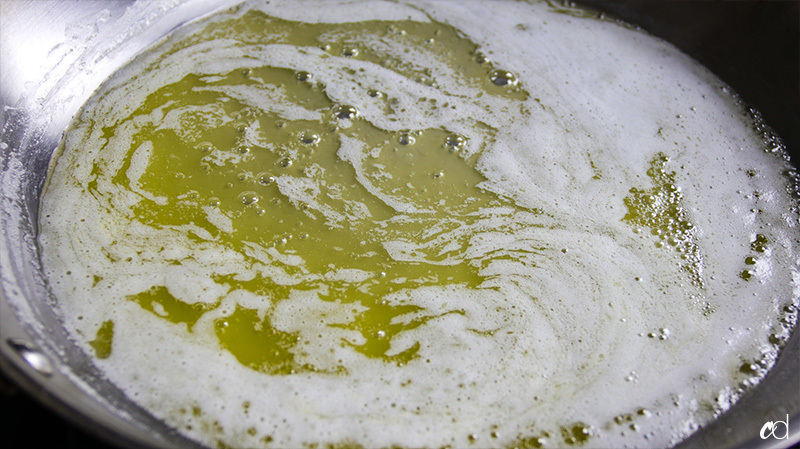 If you need to add more oil, do so. They shouldn’t be swimming in oil, just evenly lubricated. 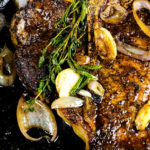 Arrange them cut-side down on the baking sheet and place them in the oven on the middle-rack for 20 to 22 minutes, or until some of the outer leaves are nicely charred and roasted. 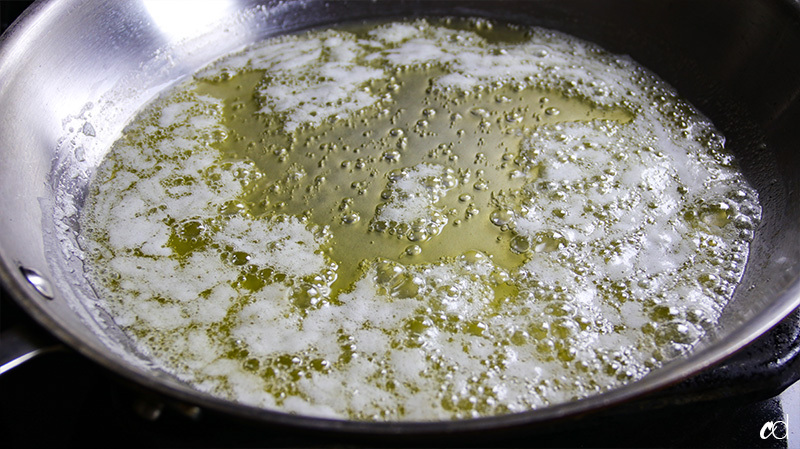 Meanwhile, melt the butter in a 10 or 12-inch stainless steel skillet. Don’t use a dark-bottom non-stick, it’ll be too hard to tell if the butter is browned. Anyway, melt the butter over medium-heat. 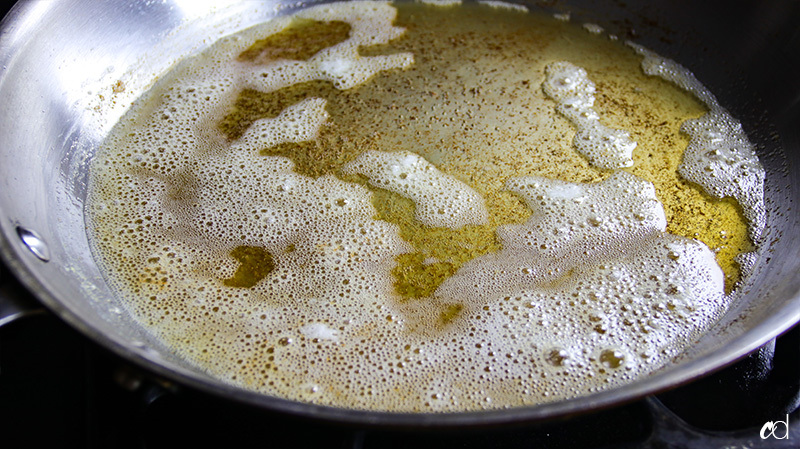 Allow the butter to brown, swirling frequently. 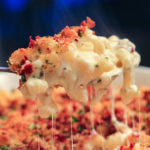 This will take just a few minutes, so don’t walk away from this or you risk burning it (and wasting expensive butter). As soon as the butter is browned (see my photo in the post for reference) turn off the heat, and add the sliced garlic, sliced shallot, red pepper flakes, and white miso paste. Using a whisk, blend everything together, making sure the white miso paste is properly blended and melted into the hot butter. Don’t be alarmed, as soon as you add all this stuff, the butter will sizzle up and foam — that’s normal. Once the miso is melted into the butter, add the honey. Start with 1/4 cup of honey, whisk it in and give it a taste. Add more honey if you need to. 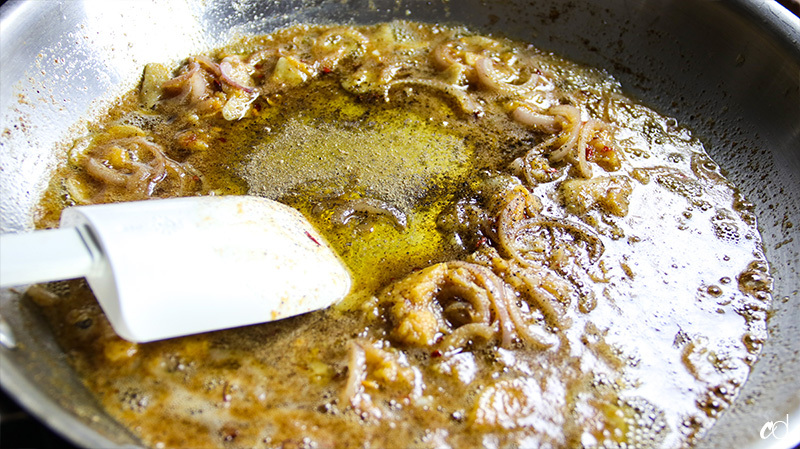 You want the sauce to be nicely balanced between sweet and salty, with a back-note of heat. If you need to add a tiny pinch of kosher salt, do so now. 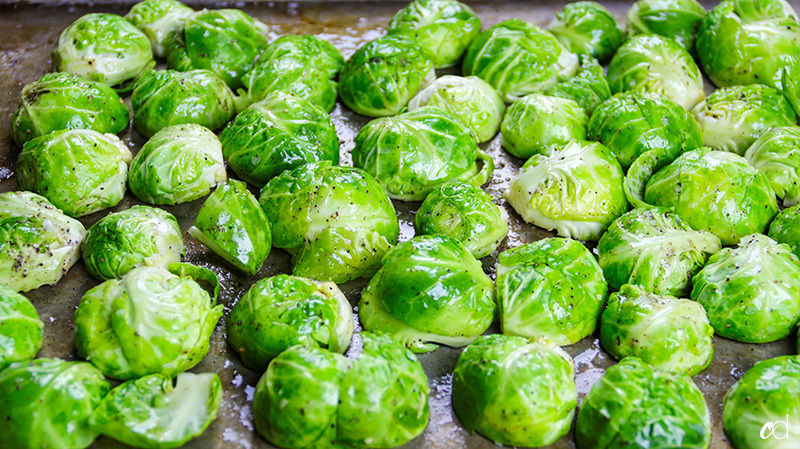 As soon as it’s perfect, set it aside until your brussels are done roasting. 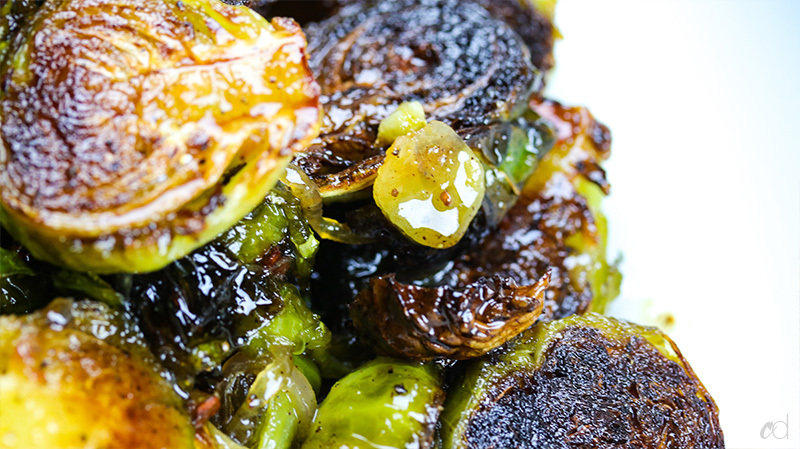 When the brussels are tender and charred, remove them from the oven. 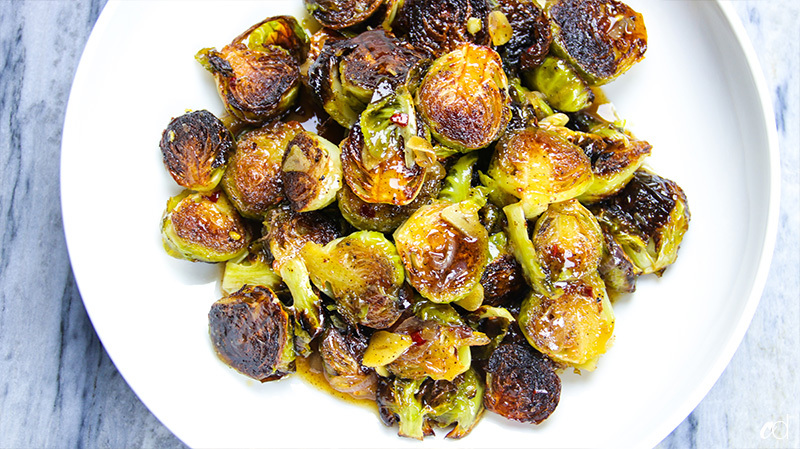 Place them in a bowl and drizzle some of the finished miso-honey brown butter sauce over them. Toss to coat, add a little more if you’d like. 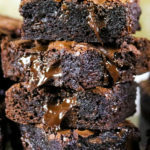 Try not to eat them all at once, serve, and enjoy! You will more than likely have sauce leftover, so save it for another use in your fridge. THIS SAUCE IS ABSURD!!!!!!! 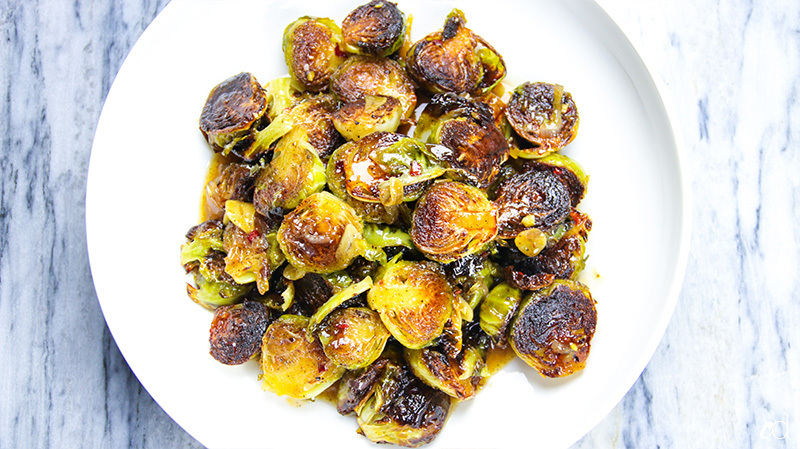 I made this for Christmas dinner for my family, and a group of 15 people who usually eat approximately 4 sprouts between them DEVOURED these ones!! Rave reviews all around and everyone thinks I’m a great cook now. 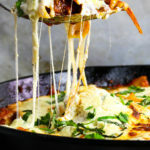 The sauce is so simple and easy to make but the taste is just beyond belief. I am definitely going to make this again. haha, glad everyone enjoyed it!! I literally ate them all in one sitting, and I have no shame.